Enjoy a full line of domestic cheeses most available in slices, blocks and shredded! Oh yeah, we even offer String Cheese for a great snack on the go! 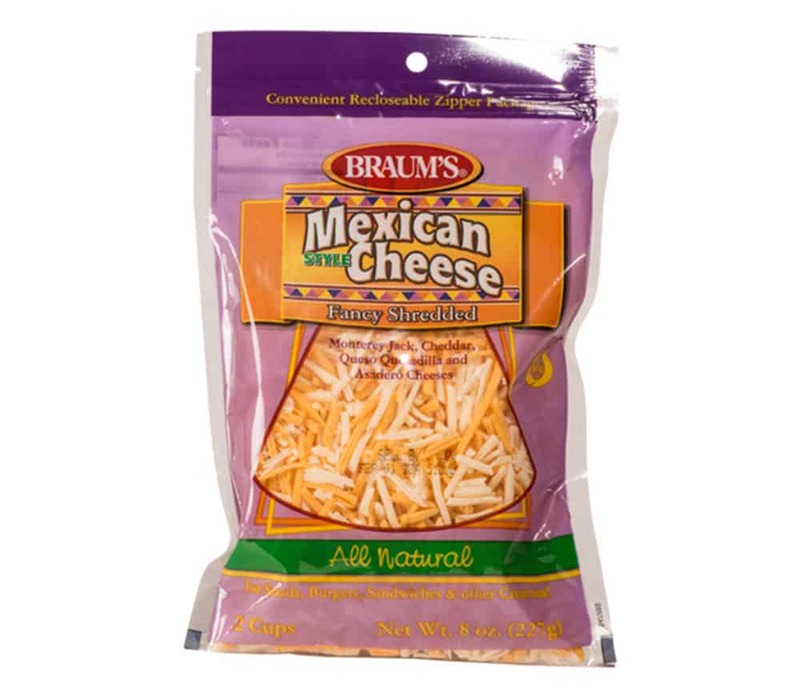 Braum’s shredded cheeses include Parmesan, Italian Style (Mozzarella, Cheddar, Provolone, and Asiago), Mozzarella, Cheddar, and Mexican Style (Monterey Jack, Cheddar, Queso Quesadilla, and Asadero). Braum’s deli sliced cheeses include Baby Swiss, Colby Jack, Medium Cheddar, and American Singles. Try Braum’s block cheese which includes: Colby Jack, Extra Sharp Cheddar, Medium Cheddar, Colby, Pepper Jack, Mild Cheddar, and Muenster.